Every year on Super Bowl Sunday my family and I have always gathered in the family room to watch the game and eat lots of munchies. Dinner that day is always light and held at lunch time so we had plenty of room for finger foods and dessert come time for the game. As the years go by the crowd gets smaller but the food is always just as good. This year I found this quick and easy recipe, Chicken Enchilada Nachos (HERE), to make for my family. It was super quick and so yummy. 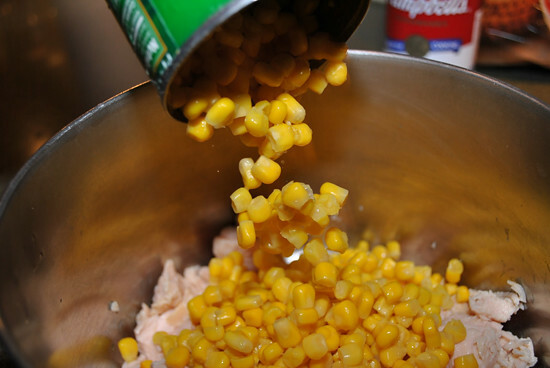 Pour everything into one pot, stir till hot, then pour over chips and add toppings. I would have liked to have had lettuce to add but sadly we were out. 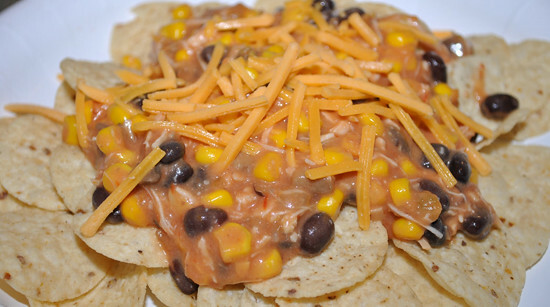 ﻿You can find the recipe for these Chicken Enchilada Nachos HERE. This recipe is so easy that I think its going to became a new family gathering staple. Hope you enjoy!